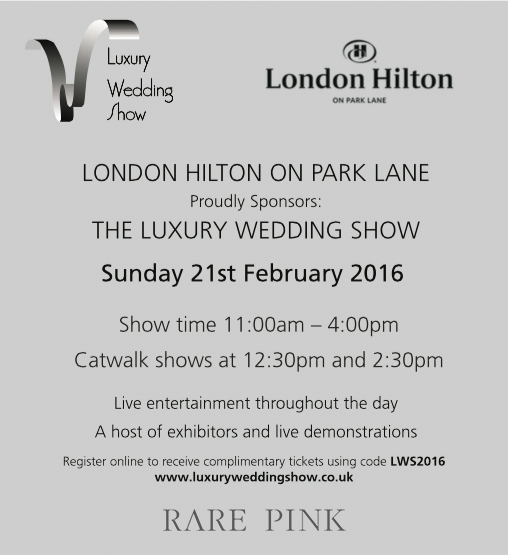 We’d like to invite you to come along to The Luxury Wedding Show at the London Hilton on Park Lane on Sunday 21st February, where will be showcasing our beautiful rings, along with a selection of other wedding vendors with plenty of ideas to help you plan your big day! We’ll be there from 11am – 4pm so come along and say hello! Register online to receive complimentary tickets using code LWS2016.